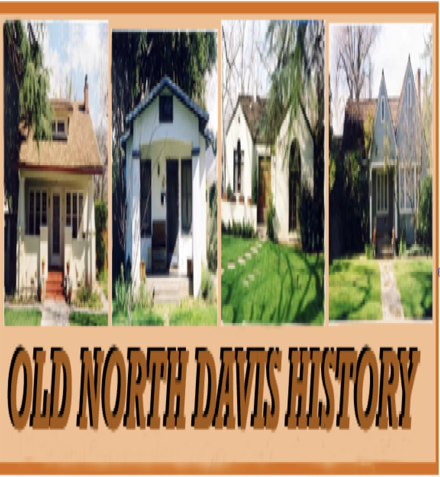 The Historical Resources Management Commission (HRMC) is nearing completion of a 2015 “update” of an inventory of “historical resources” in Davis. This is the fourth such inventory and update. 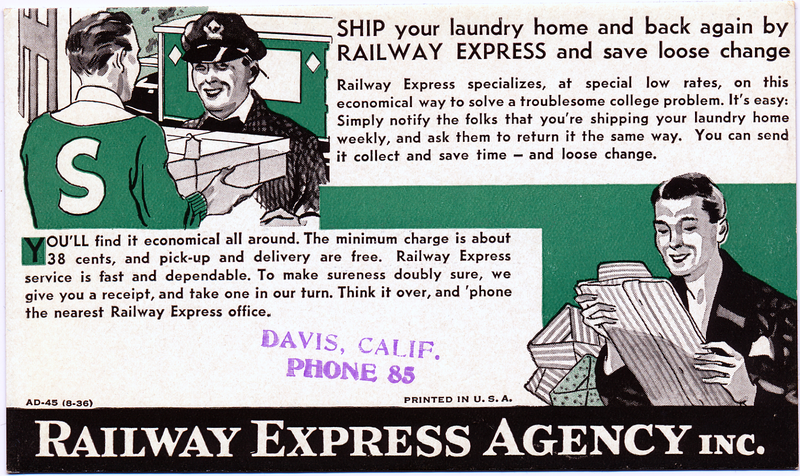 The earlier ones were in 1980, 1996, and 2003 (available on the web via # 5, below). 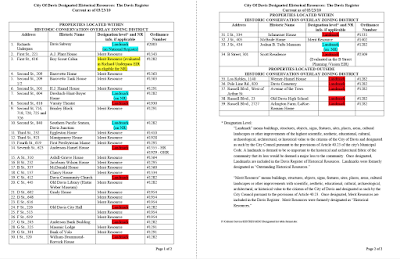 Their completions have sometimes occasioned a flurry of “designations” of new historical resources in the form of “listing” particular buildings as “merit” or “landmark” resources or entire areas as “conservation” or “historic” districts (described in reference # 2). 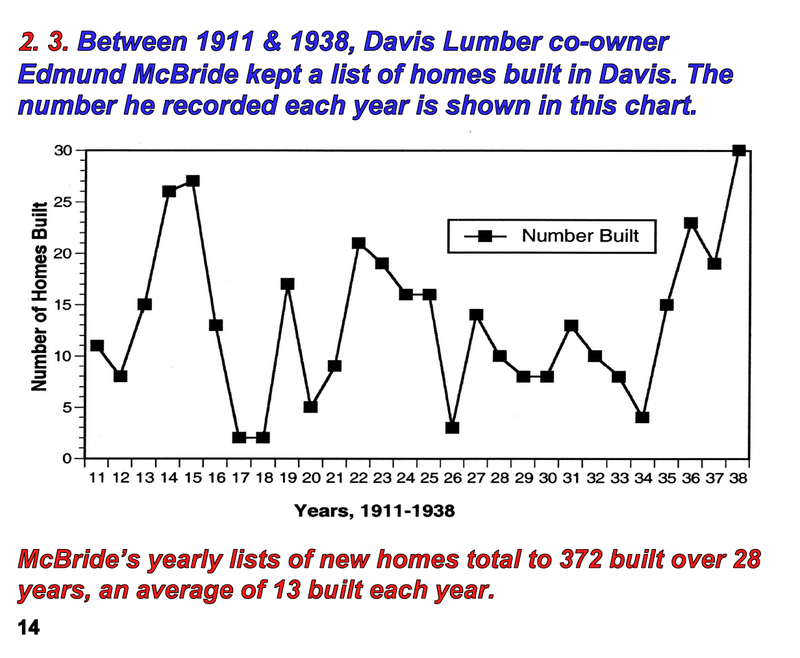 I think there is a tendency to assume this surveying/designating is “natural” or “inevitable." It is an immutable aspect of the natural order of social things in Davis. But it is, in my view, neither natural nor inevitable. 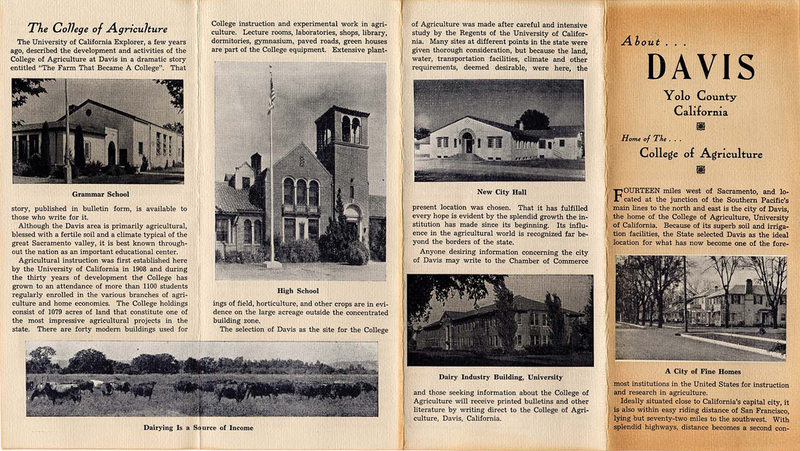 Instead, “historical resources” and “preservation” are central advocacy ideas in a particular political point of view regarding the human built environment and its management. 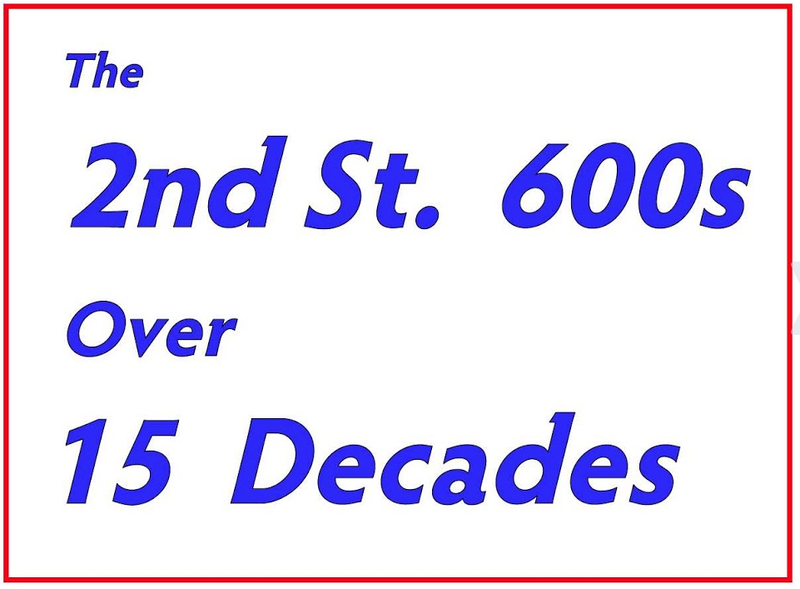 “Redevelopment” affecting historic structures is stirring in several places in Davis, including the large holding fronting Fifth Street between C and D streets. The Church of St. James, built in 1931, is at the northeast corner of Fifth and C and is a piece of that larger holding. 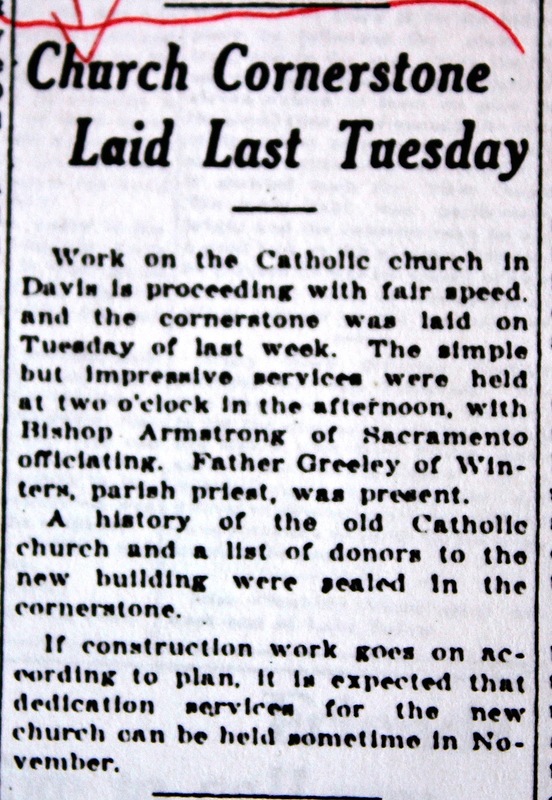 Prompted by an inquiry, I looked at my photocopies of 1931 Davis Enterprise pages and found three stories on the advent of that church that I reproduce here. I cannot say this is all the coverage of this building in 1931, but if it is, it is oddly minimalist relative to the attention the Enterprise gave to the advent of the church just across Fifth Street from it. 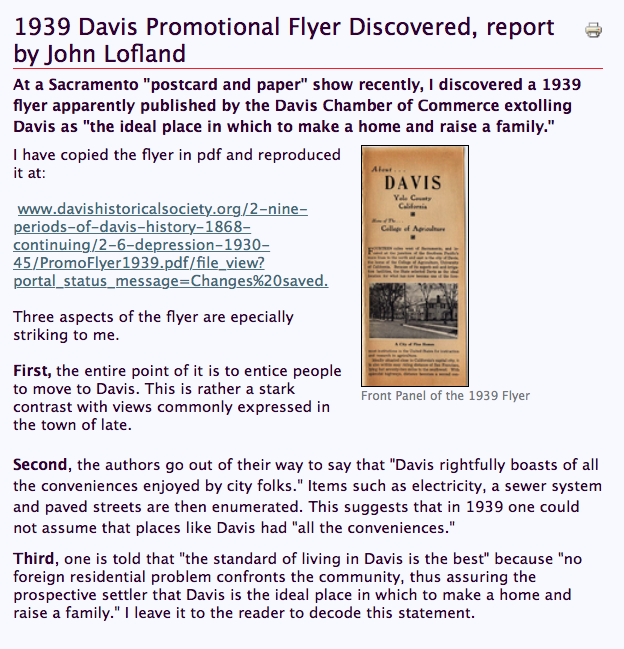 It was apparently worked up and distributed by the Davis Chamber of Commerce. I say “apparently” because the source is not explicit and there is no specific address to which to write or a phone number to call for more information. It has been posted at the URL given in the accompanying text, but it is so charming I thought it deserved a second run--so to speak. 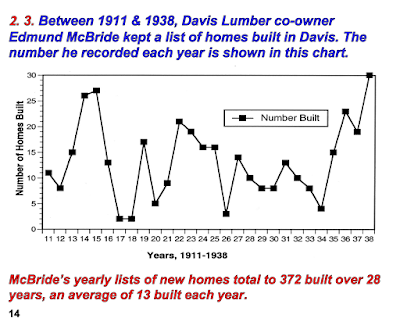 Serious students of Davis history keep needing to consult a list of homes built in Davis 1911-38 created by one Edwin McBride. Despite its key place in such historical studies, it has apparently never been published. So, I am going to remedy that neglect in this post. 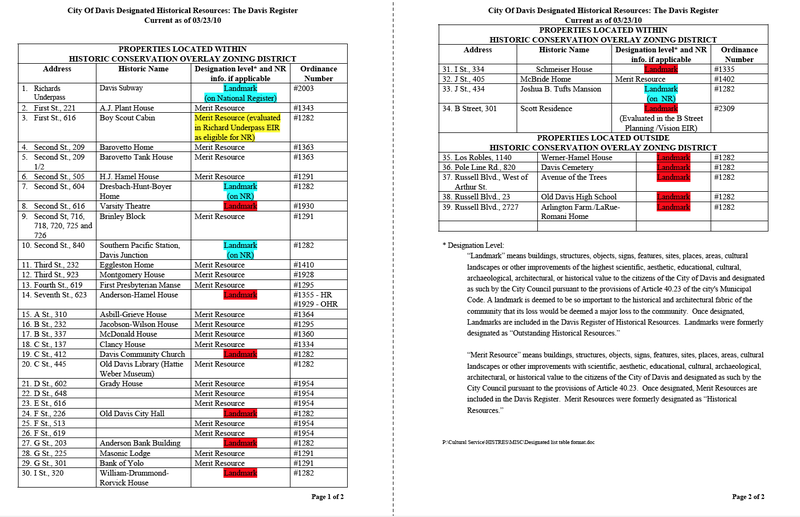 That act in turn requires explaining the list---“the little black book.” To that end I include here an adaptation of the text on this matter I published in my Davis: Radical Changes . . . (2004, pp. 102-03.). on paper. This wetness took time to dry and “blotters” were used to hurry the process along. The use of the ink “blotter” created a space for printed business advertising on its reverse side. 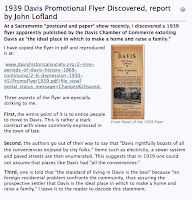 That is what we see here in three reproductions of the advertising sides of blotters used in Davis in the 1930s-40s.